Portions of Interstates 5 and 805 that run south of State Route 905 in California will be completely closed through Sept. 25, according to the General Services Administration. The 57-hour southbound traffic closure, which begins Sept. 23, is due to expansion work at the San Ysidro Land Port of Entry. 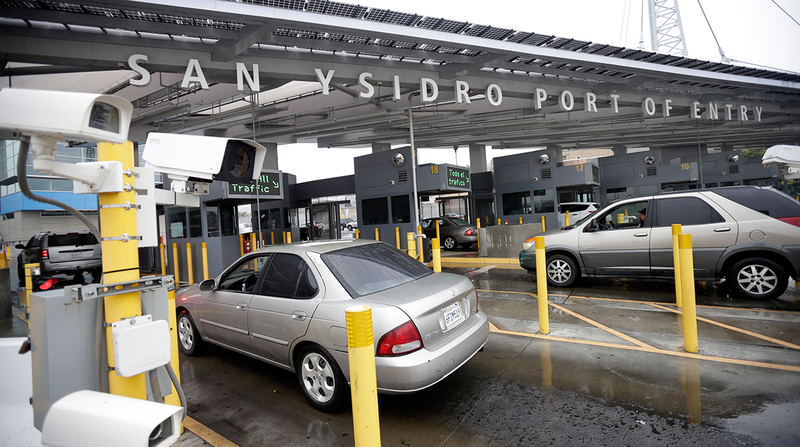 The San Ysidro port is located on the U.S.-Mexico border in San Diego County. According to the Bureau of Transportation Statistics, 13,701,967 personal vehicles passed through the San Ysidro border station in 2016. Interstates 5 and 805 share the same segment of road for about a mile leading up to the San Ysidro station. In a statement released Sept. 18, GSA directed vehicles traveling south to Mexico to use the Otay Mesa Port, which is located about 9 miles east of San Ysidro. The Otay Mesa Port, located along State Route 905 in San Diego, processed 899,336 trucks and 7,722,264 personal vehicles in 2016, according to BTS. The construction work occurring during the 57-hour period involves the disassembling of an existing southbound vehicle inspection canopy on I-5. “Travelers are urged to monitor posted signage and traffic control measures as they exit the primary inspection booths,” GSA’s statement advises. From Sept. 25-Nov. 21, the highway will be open, but capacity will be reduced from five lanes to three, GSA said. San Ysidro is not the only port of entry along the U.S.-Mexico border that is undergoing renovation. The California Department of Transportation and the San Diego Association of Governments are working with GSA and U.S. Customs and Border Protection to build Otay Mesa East, a new border crossing station that will be located two miles east of the existing Otay Mesa Port. Otay Mesa East will feature intelligent transportation systems, including interchangeable lanes, according to Mario Orso, trade corridor director of Caltrans. Otay Mesa East is scheduled for construction in the next few years.